China's fitness market has a huge potential for growth as more people in the country seek a healthier lifestyle and relief from mounting work pressure. By 2020, 700 million people in China are expected to work out once a week, and those who hit the gym regularly will exceed 435 million. The size of the general market is estimated to reach 1.5 trillion yuan (223.2 billion U.S. dollars), according to the General Administration of Sports of China. China is now home to over 46,000 gyms, and the top ten earners have already taken in revenue of 10 billion yuan, said an industry report. For many people, exercise may not be a priority due to a tight schedule and busy work life, but general awareness of health has improved in recent years. Liu Mumin, a 56-year-old woman in Beijing, spends over an hour at the gym every day. Though she started working out 10 years ago, she had not made it a habit until she was hospitalized last May. "As I lay there, I suddenly realized the importance of health, and immediately texted my coach, telling him I wanted to make it a routine," said Liu. Like Liu, Yan Xiaopeng, a member of staff at a financial institution in Beijing, also pays close attention to her health. "Exercise has already become a part of my life just like eating and drinking. I feel relieved every time I exercise, no matter how stressed I was before," she said. As more people begin to build their bodies, they are also seeking professional and personalized advice. "My coach helped me fix many incorrect techniques that I had never noticed before. Now, I have found the safest, most effective and suitable way for me to keep fit," said Liu, who bought 20 private courses to help her stay healthy. 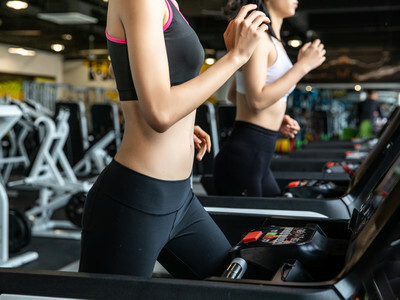 Though China's fitness market, supported by new technologies, has been fast-tracked, specific regulations are still required not only for the orderly development of the market but also the interests and rights of consumers. Some industry insiders believe that China's fitness market is facing a reshuffle. Only gyms which focus on internal management and protect consumer rights and interests while offering them more diversified services will stand out.